Hopefully, we can be unbeaten until the end of the season. That is why we came to Liverpool. Arsenal did it before, so why not? Of course it will be a challenge but this is what we want. We know we can do it. I'm not sure that City have any weaknesses. Last year they won by 19 points. They know how to manage even when they lose. They also lost one or two games last year and still they managed to be 19 points ahead. Look, there's a competition. This is what we want, but we don't look at who is in front of us or behind us. It's just about us. You cannot sit and enjoy and say: 'We have five or six points in front of everyone'. It doesn't work like that. Every game for us is a final. Liverpool showed their intent by securing a memorable win over bitter rivals Manchester United on Sunday, which ultimately cost Jose Mourinho his job. They have the option to continue their unbeaten streak on Friday night, by securing a win over Wolves and also go four points clear of City, who play Crystal Palace on Saturday. As such, Lovren's statement comes at an interesting point of time. As always, Twitter had some of the best reactions and we look at a few of the top tweets here. Many fans felt he had jinxed Liverpool.. He had to open his mouth again. Says the best defender in the world. Must be true. 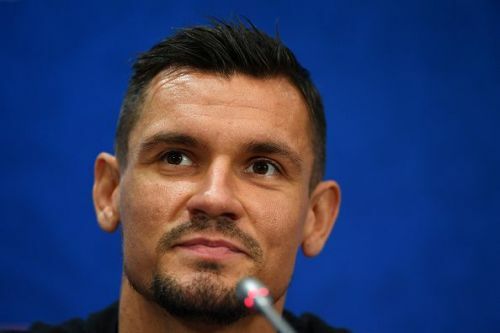 Lovren says he hopes Liverpool remain unbeaten & people lose their minds..He's only saying what every player & fan hopes for..If Salah or Van Dijk say it then it's confidence & it's played down..Some fans just have a massive agenda against players they don't like..Standard. Imagine giving Lovren stick for saying he hopes we can go unbeaten. Genuinely. Put the agendas aside and think about it. One of our players says “hopefully we can be unbeaten until the end of the season” and he’s getting abuse for it. If you are one of these people just do one.